The Falcon series of chutes have been designed by parasailing professionals and are made with the most modern parachute technology. It utilizes proven performance materials with tensile and tear strengths appropriate for the rigorous watersports environment. All Falcon materials are proven in related air sports. All materials are inspected before construction to check for defects, tensile strength, porosity and conformity of weft and warp. Only components passing the rigorous battery of tests are used in the manufacture of Falcon chutes. Furthermore, every Falcon chute is meticulously inspected after every step of manufacture to ensure quality control and conformity to manufacturing standards. Further, each go through at least two final inspections before delivery to the customer. Each Falcon chute is crafted of high tenacity 1.3 oz. or 1.9-oz nylon ripstop nylon with polyurethane (PU) based coating. This material is recognized worldwide for use in air sport products because of its proven durability. Falcon ripstop is very strong and allows the chute to inflate easily and fly well. Its coating sheds water and has a durable hard wearing finish for nil porosity and better lift. It has enhanced resistance to heat as it is coated with an UV inhibitor to shield against sun degradation. Falcon is offered to the leisure user in three sizes: 24', 26' and 28’. Most primary colors are available in Falcon ripstop and custom colors, logos, lettering and phone numbers can be quoted upon request. Please call for your custom quote. Each leisure package comes with this parasail kit! Have a vision in your head that you want to see come to life on the screen? Now you can color your very own personalized parasail! Play with a variety of colors, choose which panels to apply them to, and once you're happy with your design, submit it directly to us or print it out. Virtually Design Your Own Parasail Here! Warning and disclaimer: These parasails are not to be used over land operation and should not be tethered (attached to a fixed object with sufficient wind speed to keep them aloft). Always use the gear in accordance to the manual instructions to minimize danger of injury or death. Failure to do so can result in injury or death. The manufacturer sells all gear “as is” with no express warranties of fitness for a particular purpose and with any and all faults. Use at your own risk. There are no warranties expressed or implied. Leisure users never fly in winds above 15 MPH….commercial winch boat users never fly in winds deemed unsafe by the Captain. Sport Chutes Over Texas Inc.
©2018 Sport Chutes Over Texas. All rights reserved. 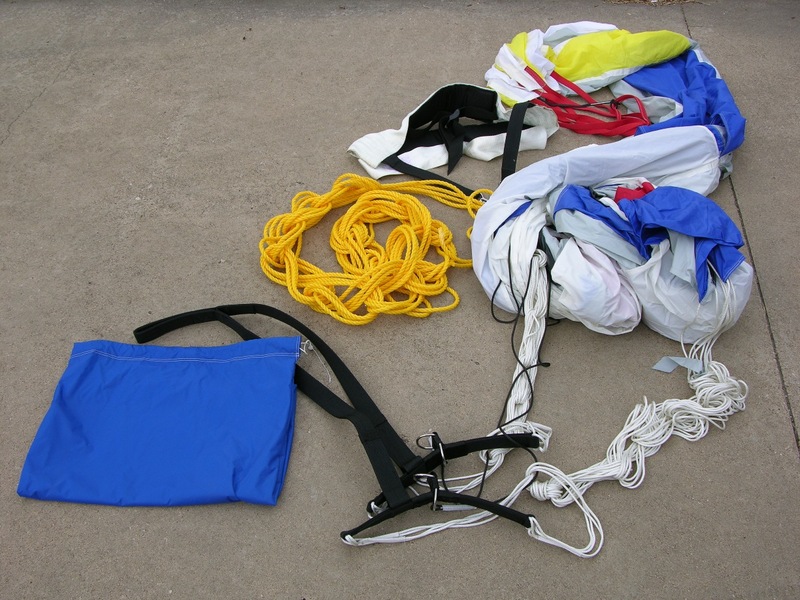 All parasail chutes and gear made in the USA!